Rattail fescue is a cool-season, winter annual grass that has become widespread in Pacific Northwest wheat production systems as minimum-tillage and direct-seeding practices have become more popular. Rattail fescue can form dense mats of residue that affect root and shoot growth. Competition of rattail fescue with wheat can reduce crop yields by 10 to 30 percent. The recent introduction of pyroxasulfone (Zidua and Anthem Flex) in wheat systems has helped with the management of rattail fescue, but growers need to incorporate other management practices with the use of this chemistry or it will not provide effective control for long. 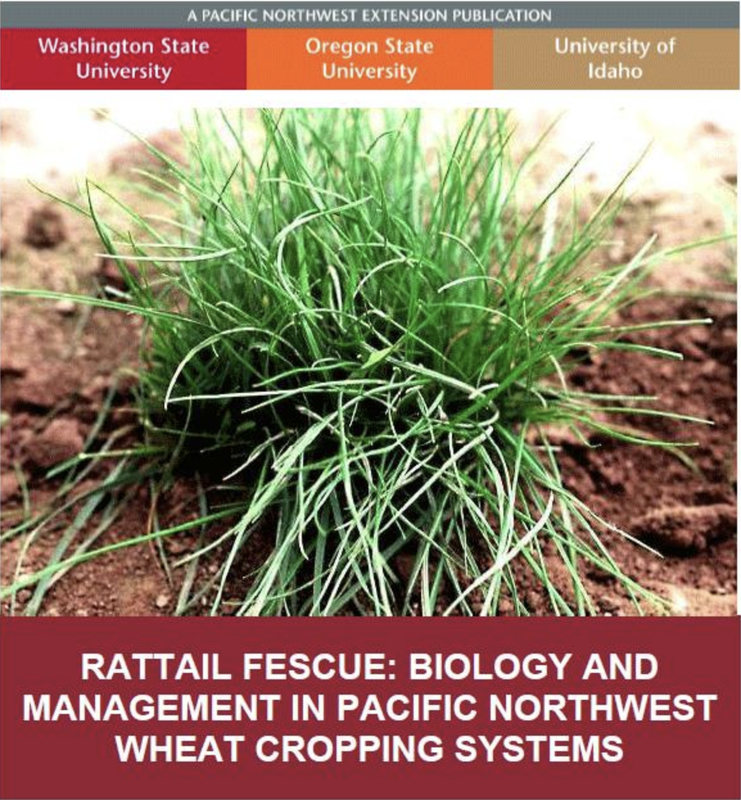 The Extension fact sheet, PNW613, Rattail Fescue: Biology and Management in Pacific Northwest Wheat Cropping Systems, has been updated to provide growers and consultants with the latest information on managing this troublesome weed. Update yourself by taking a look at PNW613 today. For questions or comments, contact Drew Lyon by email at drew.lyon@wsu.edu or by phone at 509-335-2961.